What a whale of a time | Where to next? 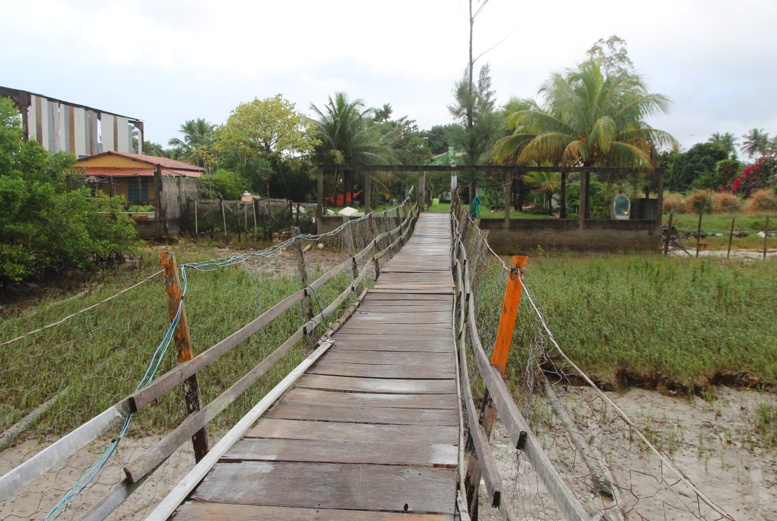 What a fabulous and unexpected stop we had in Caravelas, a small fishing town on the Brazilian coast north of Rio. 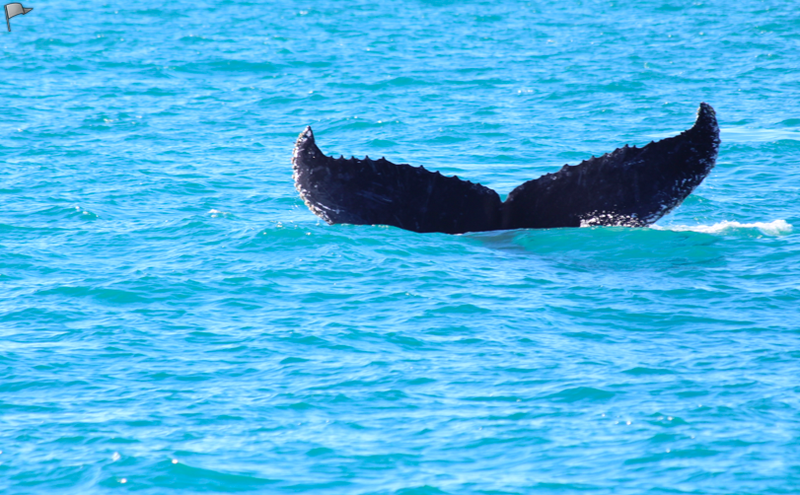 The guidebooks say it is a great place to arrange trips for watching humpback whales, from June to October, and also the main jumping-off point to visit the Parque Nacional Marinho de Abrolhos (where lots of whales hang out). Poor John headed to the tourist office up the road to find out about the cost and details for day trips. The bottom line was close to US$150 per person, including admission to the national park, and a three-hour boat ride each way. Danny did some checking too and came up with the same amounts. But the manager of our pousada (hostel) had his own ideas. He called a friend (or maybe a friend of a friend) and organised a whole boat for us for just under US$115 a person, with snorkeling, lunch and snacks included but stopping short of the national park (so no admission fee). Early next morning we set off, on foot, to walk to the harbour and board a catamaran for our adventure into the wild. It started with a leisurely 10-kilometre chug up the Rio Caravelas to the open sea. And then what a day it proved to be. We saw our first humpback just over two hours into the ride—not long after the waters became clearer (river silt gives the water close to shore a very brownish hue). Then whales were everywhere. Well, maybe not everywhere, but we saw humpbacks off-and-on for the next four hours. And the crew made a point of keeping a look out for this huge mammals and following (staying beyond the legal distances) those that we saw. We spotted whales on their own, mums with calves (they come to this part of the Atlantic Ocean a this time of year to mate and calve), whales spouting, whales slapping their tails. It happens so fast that sometime it’s impossible to get a pic, but I was pleased with some I caught. The boat anchored before lunch so people could snorkel over the reef. Not a lot to see because the water was deep, but the waters were warm and calm, and more whales played in the distance. 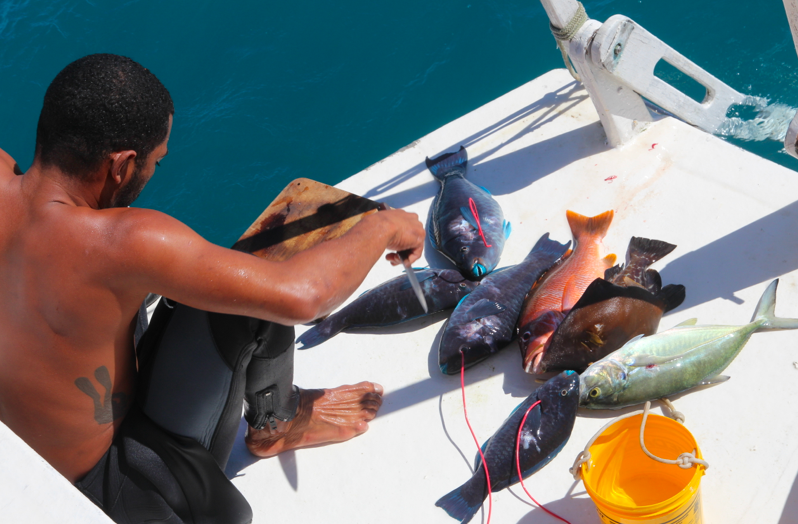 One of the crew went spearfishing and came back with an impressive haul of colourful fish. He set about cleaning two parrotfish so we could have an feast of raw, fresher-than-fresh seafood, which we dipped in lime juice and soy sauce. Then it was time for real lunch, with fish nuggets, pasta and green salads, and rice. We headed back to Caravelas about 3, reaching the river and dock well after dark. I don’t suppose I’ll ever be whaled out, but this was an amazingly rewarding day. 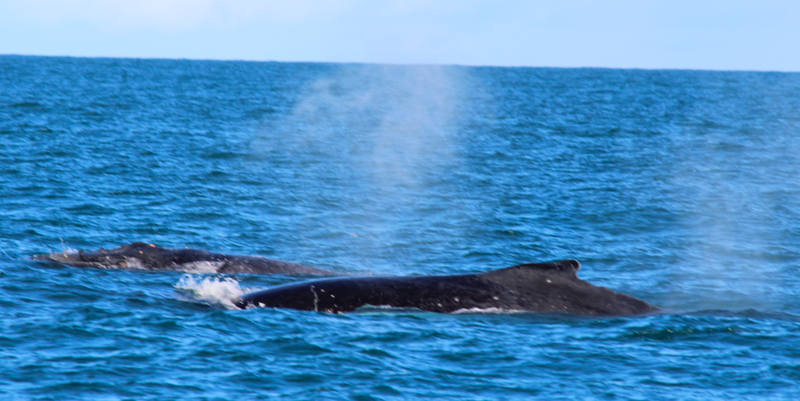 What a great experience…loved whale watching in Kaikoura in New Zealand too! 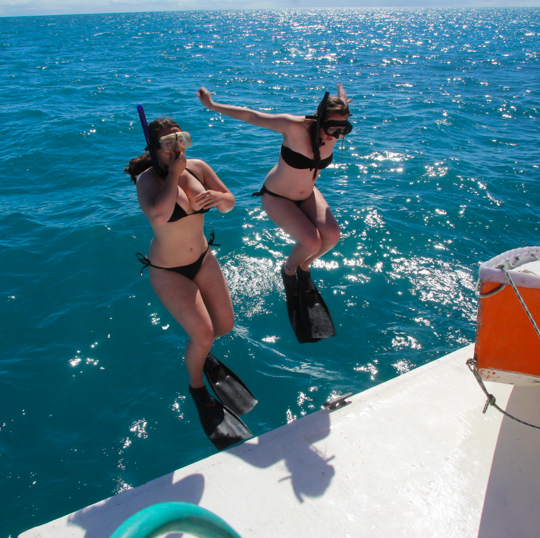 We’ve been so lucky to whale watch in Australia, South Africa, Antarctica and now Brasil. I wonder where next? Great! Wonderful! This is Brasil! Brasil is completely wonderful. We love it so much. What a Whale of a True Tail…. great to get some photos of Whales… good show Leggy Peggy and Pour John. Thanks Sy. I was so pleased to get some decent shots. Fins and Whale Tales…what for a great combination! It was an amazing day. And the weather was perfect. I’m having serious withdrawals looking at those pictures Peggy! Enjoy the rest of the trip!